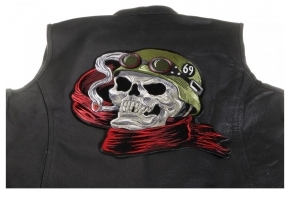 This is the motto of many biking enthusiasts – If they couldn’t ride, they would rather die! 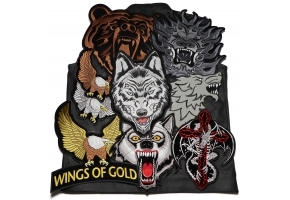 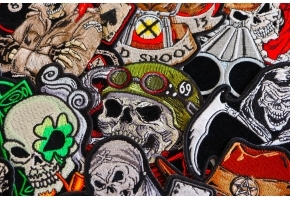 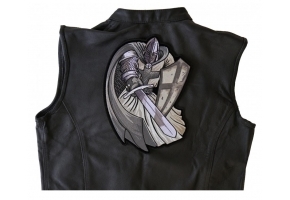 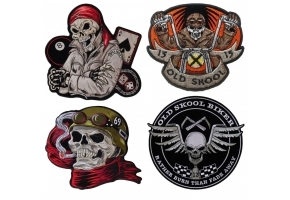 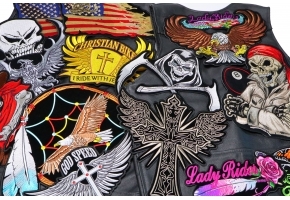 Well this patch symbolizes what most bikers feel and what better way to display your feelings than with this stunning piece of art on the back of your vest or jacket. 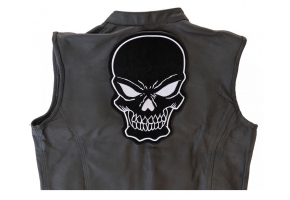 This fabulous design is a collage of skulls, swords, snakes and wings in magnificent black and white and is going to provide you with instant style when either ironed or sewn on to your clothing. 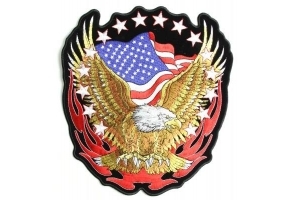 This brand new 10.75 x 12 inch patch comes with thick die cut borders to give it a cleaner finish.